If you’re looking for a break between your long list of business and leadership books, we’ve pulled together a list of eight books (5 fiction and 3 non-fiction) that have been New York Times Best Seller’s, Pulitzer Prize winners, and a member of Oprah’s Book Club. 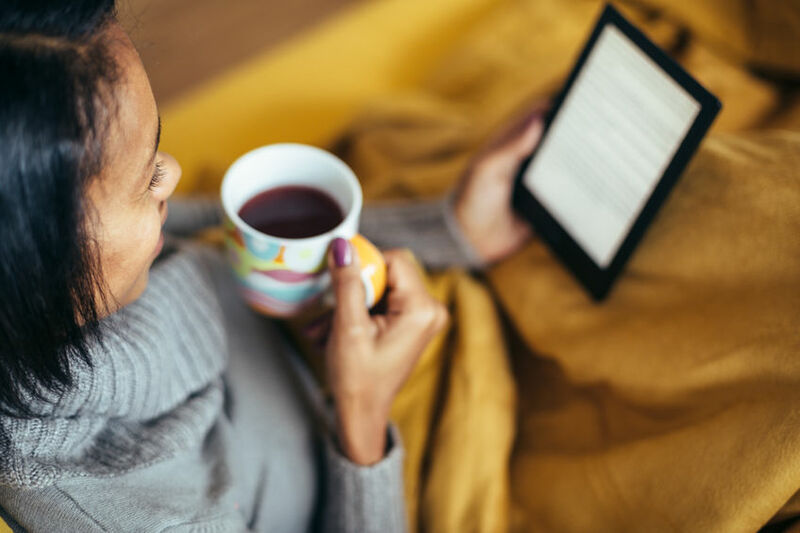 These books are full of great stories, but also have educational lessons weaved throughout, so curl-up in your favorite chair or fire-up your Kindle on your next flight and enjoy one of these recommended reads. Named a Best Book of the Year by People, The Washington Post, Esquire, GQ, Southern Living, Entertainment Weekly, NPR, Amazon, and Barnes & Noble. Celeste Ng, the bestselling author of Everything I Never Told You, writes an insightful and entertaining novel, set in the suburbs of Cleveland, about a single mother, her daughter and the picture-perfect family they rent a house from. The book intertwines the themes of motherhood and the perception of societal norms. A New York Times and USA Today Best Seller, Lisa Wingate writes a novel set in Memphis in the 1930’s and in Aiken, South Carolina, present day, about a poor twelve-year-old Rill Foss and her four younger siblings, taken from their family by an orphanage in 1939, and Avery Stafford, a federal prosecutor, born into wealth and privilege, who takes a journey through her family’s long-hidden history in present day. It’s a captivating tale of the past and present stories woven together in a way that makes it difficult to put it down. From the New York Times bestselling author of Hopeless, It Ends With Us and November 9, Colleen Hoover writes a moving novel that explores the layers of lies that tie a family together and the power of love and truth. Written from the perspective of a young High Schooler, Merit, about her perspective on her life and her dysfunctional family who, like many families, hides their truth behind layers of lies. It’s definitely an engaging read. A New York Times bestseller, winner of the Pulitzer Prize and the National Book Award, Colson Whitehead tells a historical fictional tale of a young slave’s adventures, Cora, as she makes a desperate escape from a cotton plantation in Georgia to seek freedom, along with a not-so-metaphorical railroad to the north. Although fiction, the story brings to life the historically real atrocities of slavery and the struggle for those held captive. A good, insightful read. J.K. Rowling, the author of the bestselling Harry Potter series, brings us a new book, written in a screenplay, format about the magical world of wizards set in New York City in the 1920s. Whether you’ve read all of her magical seven Harry Potter books or are new to her world of magic, this screenplay is sure to entertain and delight. It’s definitely worth watching the movie after (or even before) you’ve read the book. The Winner of the 2017 Pulitzer Prize in General Non-Fiction, Winner of the National Book Critics Circle Award for Non-Fiction, and named one of the best books of the year by The New York Times, The Washington Post, NPR, Bloomberg, Amazon, and Barnes & Noble. Matthew Desmond, a Professor of Sociology at Princeton University, follows eight families in Milwaukee as they struggle to pay their increasing rent and an insightful look at the ramifications of being evicted on one’s emotional, financial, and physical state. If you’re a Gilmore Girls fan, this is a great read for you. Lauren Graham, the star of the hit series Gilmore Girls, shares a collection of authentic, personal stories about life, love, and working as a woman in Hollywood. Like Lorelei Gilmore, her character in Gilmore Girls, Graham is witty, funny, sarcastic and brutally honest. An entertaining, quick read with some sections in the middle you could probably skip through. From the funny and insightful YouTube Star, Lilly Singh, with more than ten million subscribers, this book is about the lessons she learned on her rise to success and the importance of confidence, hard work (relentless hustle) and taking everything obstacle with commitment and a smile. A great read for those looking for inspiration around the importance of perseverance and relentless hard work.